Brenda Popplewell limits her practice to Criminal Defense, Civil Rights, Student Rights, and Appeals. 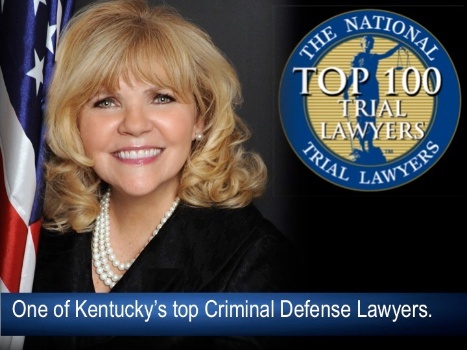 She represents clients in state court throughout Kentucky and in federal court in Kentucky, Tennessee, Ohio, and Michigan. Our primary goal is to give our clients their best chance of success. We are selective in the cases we accept, choosing to focus our time, energy, and resources on fewer cases. We work hard to protect you and to help you determine the strategy that works best for you. Brenda works directly with her clients throughout the process. She handles every case—from highly publicized death penalty trials— where clients have been falsey accused--Unmaking Making a Murderer one client at a time, to students that have been bullied, with the same dedication to personal service. Brenda is experienced, tenacious and a fearless advocate for justice, equality, and liberty. Brenda's high-profile legal battles on behalf of her clients have led to successful trials and appeals. She is a tireless crusader against discrimination and has devoted her career to fighting for her clients’ constitutional rights, civil rights, and freedom. Speak up for those who cannot speak for themselves; ensure justice for those being crushed.